A: The plugin is downloaded from the Photographers-Toolbox website as a ZIP file called after the plugin name. When unpacked normally a directory / folder is created with the same name as the ZIP file. YET, inside this directory / folder there is another directory / folder with the same name. You need to select this second, deepest directory / folder, see images below. You will get this error "Installed but not working" if you selected the first "xxxx.lrplugin" directory / folder instead of the second, deepest. When clicking the "Add" button, navigate to the second, deepest folder with the name ending on "xxxx.lrplugin", in this case "photolistimporter.lrplugin"
You should see something like te image below. You should see a directory with the name ending with "xxxxx.bbprojectd" in this case "PhotoListImporter.bbprojectd". This means you are at the good directory. Be careful, do not select the "xxxxx.bbprojectd", you should only see it. The wrong directory / folder is the first, highest directory, like the image below. Selecting this directory / folder will result in the error in the Plug-in manager. Solution, choose the "xxxx.lrplugin" inside this folder. A: No, only Regular Collections can be filtered on. As explained the filtering itself it based on the technology of Smart Collections. And it is not possible to use Smart Collections within Smart Collections. A: No, see Known error "No photos found in stacks". However a good workaround is explained. A: Yes and no. This depends on the search option you use. 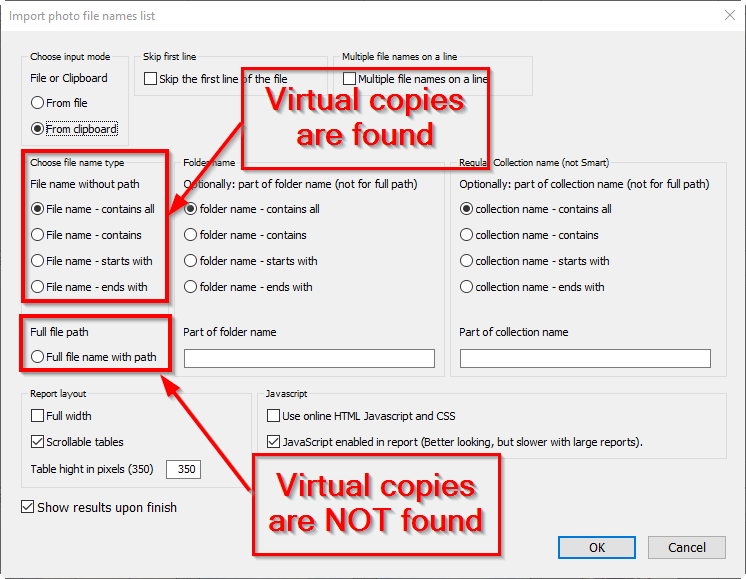 Virtual copies are also found except when you select the option "Full file name with path". This Youtube video demonstrates the difference between when searching with "Full file name with path" and the other search options. A: When using files as import, you can only user ASCII or UTF-8 files. UTF-16 is not supported by Lightroom. First look at our forum to see if there are similar issues as you experience, click the link. If there is no answer either post an issue at the forum or send us via the Contact form an issue.